ViziPrint Deco SR is designed to adhere permanently to virtually any smooth surface, including glass, plastic and metal. The scratch-resistant window film is ideal for high end architectural and building requirements as well as a wide variety of bespoke decorating applications. Apply stunning graphics with vibrantly-rich colours to a smooth, defect-free surface using Viziprint Deco SR scratch-resistant window film. Professionally applied, the film provides a smooth, bubble free finish and scratch-resistant graphics that can be removed without leaving any residue. The product is very durable and is designed to remain in place for up to seven years, making it ideal for long term indoor or outdoor window and building graphics. 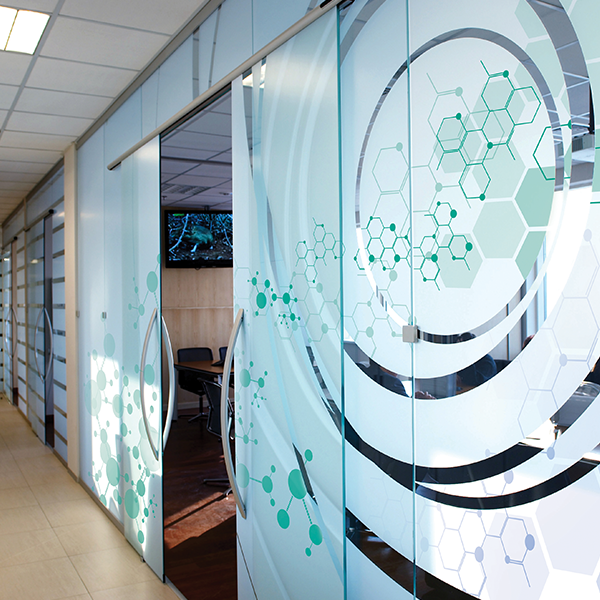 ViziPrint Deco SR is a scratch-resistant optically clear gloss PET film with a permanent acrylic adhesive. The high quality permanent adhesive adheres to most substrates, including glass surfaces and is designed for long term placement. This printable window film utilises a special ink-receptive top coat for greater adhesion of inks, and it can be used to create graphics and window decals for retail storefronts and POP or backlit displays. ViziPrint Deco SR is ideal for architectural applications where decorative glass details are needed to create dynamic spaces, including conference rooms or private meeting areas. 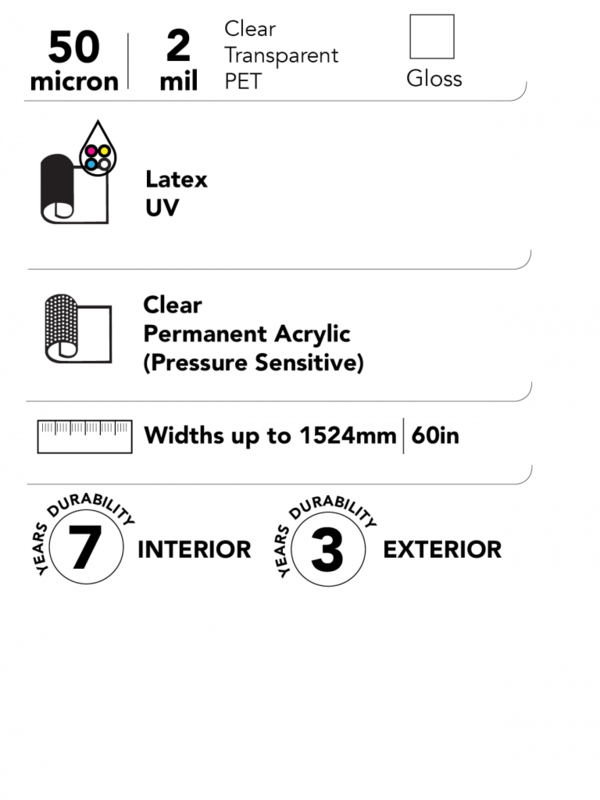 This optically clear scratch-resistant printable window film utilises a special ink-receptive top coat for greater adhesion of inks. ViziPrint Deco SR is ideal for architectural applications where decorative glass details are needed to create dynamic spaces, including conference rooms or private meeting areas. It can also be used to create graphics and window decals for retail storefronts and POP or backlit displays.